It's time to get ready with taking special care of your skin, because the Holi festival has rolled around once again. The festival, when you go to cool parties with your friends and relatives. 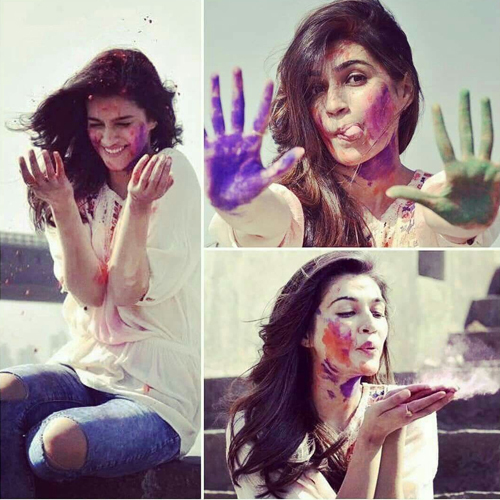 Here are the tips to protect your skin from Holi colors. Do not forget to apply sunscreen before you step out to play Holi. It's hot summers out there. Use Vaseline, olive oil, coconut oil, mustard oil on your face and body. Do not forget to moisturize your skin well before you set out to play Holi. This will help in removing the colour from your skin more easily. Natural ingredient based moisturizers like coconut based moisturizers are good for your skin.